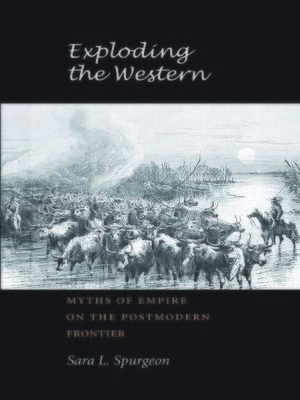 The frontier and Western expansionism are so quintessentially a part of American history that the literature of the West and Southwest is in some senses the least regional and the most national literature of all. The frontier—the place where cultures meet and rewrite themselves upon each other's texts—continues to energize writers whose fiction evokes, destroys, and rebuilds the myth in ways that attract popular audiences and critics alike. Sara L. Spurgeon focuses on three writers whose works not only exemplify the kind of engagement with the theme of the frontier that modern authors make, but also show the range of cultural voices that are present in Southwestern literature: Cormac McCarthy, Leslie Marmon Silko, and Ana Castillo. Her central purposes are to consider how the differing versions of the Western "mythic" tales are being recast in a globalized world and to examine the ways in which they challenge and accommodate increasingly fluid and even dangerous racial, cultural, and international borders. In Spurgeon's analysis, the spaces in which the works of these three writers collide offer some sharply differentiated visions but also create new and unsuspected forms, providing the most startling insights. Sometimes beautiful, sometimes tragic, the new myths are the expressions of the larger culture from which they spring, both a projection onto a troubled and troubling past and an insistent, prophetic vision of a shared future.